The countdown begins… The 1Staff team is excited to once again be exhibiting at Staffing Industry Analysts Executive Forum. 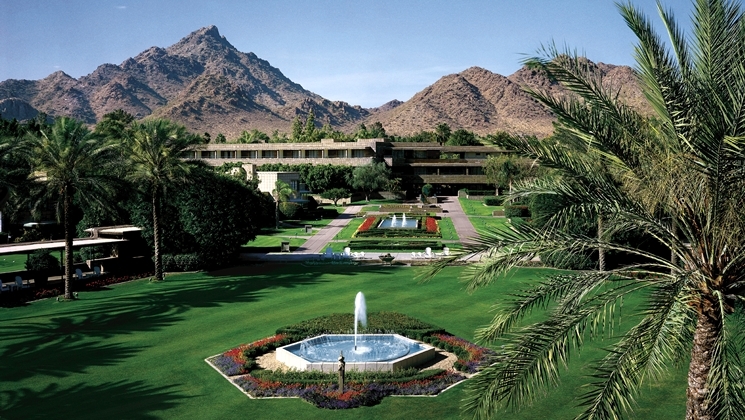 This year’s event will be held at The Biltmore Hotel in Phoenix, Arizona February 22nd– 25th. Perfect timing for those looking to escape the winter blues. This year is sure to be bigger and better than ever with SIA Executive Forum celebrating 25 years; and the theme to accompany it of “Past, Present & Future”. We will host an interactive conference session on Tuesday, February 23rd at 3:00 PM. The session will highlight what you can do before “the robots take over” and how to better understand the real threats to your staffing business. If Robots aren’t really your thing, potentially golf is. Phoenix is known as one of the top cities in the United States to golf. It comes as no surprise that the beautiful Biltmore Hotel backs into two PGA 18-hole golf courses. Don’t have time to get out and play a round while you’re at the conference? No worries, we are bringing the golf to you. Stop by our booth #63 to test out your putting skills, and take home a 1Staff golf ball! SIA Executive Forum | February 22-25, 2016 | Phoenix, AZ | Visit us at booth #63!